Our mission is to help you to have a beautiful and productive garden and lawn. We can help you to monitor and control the most important resources in your garden such as water, temperature and light, so that you can save money and time. Our unique products are simple modular building blocks, that can easily be combined to create custom garden automation solutions for you. We ship our products factory direct, in small or large quantity, to nearly every country in the world. To get started, just select the products that you need, and order from our website store. Normally all of products are in stock, and ship same day. We are continually developing new innovative products. Make sure you contact us to be placed on our mailing list, for announcements of new product releases. Water is your most important asset when gardening or caring for your law. Use too little and your plants will wilt,and be stunted in growth. Use too much and you will be wasting precious money. 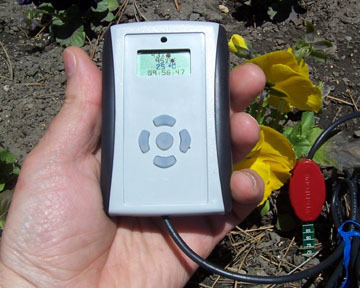 Continuously monitoring the moisture of your soil can be a challenge and is something that can easily be automated with Vegetronix products. 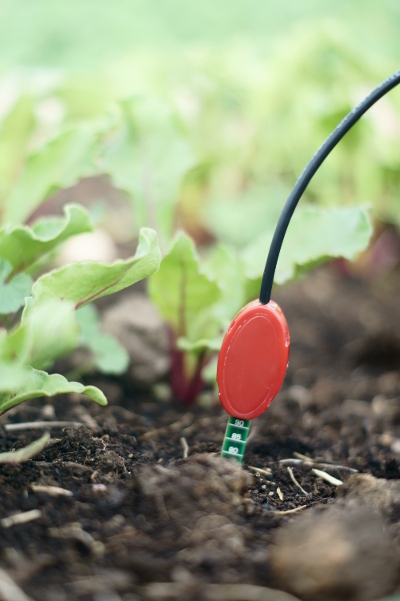 Our low cost soil moisture sensor the VH400 can help you to the exact moisture content of your soil, and can be used to automate the watering of your garden and lawn. 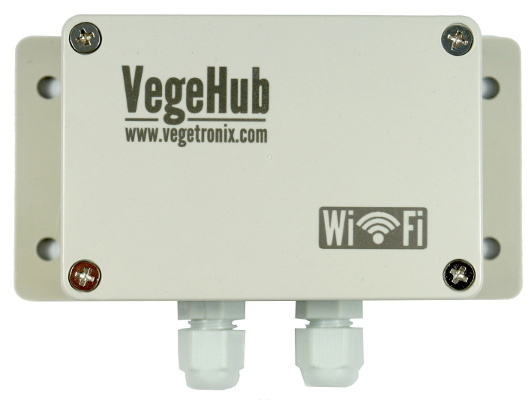 Start streaming your sensor data to your favorite website with our new VegeHub Wifi Garden Hub. 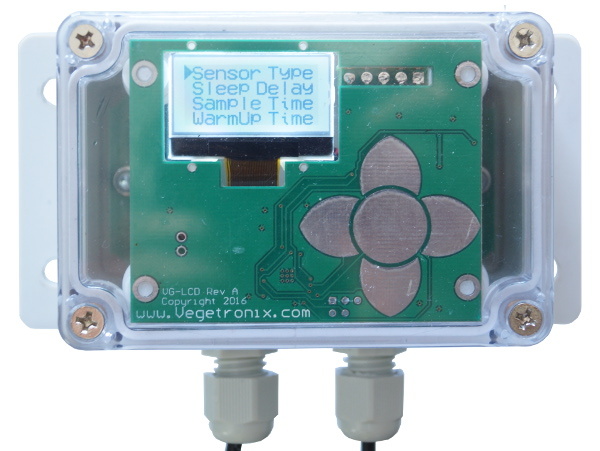 The ultra low-cost VegeHub can be setup in minutes, is optimized for long battery life, and works will all vegetronix sensors. It is a perfect solution to remotely monitor water level of livestock water tanks, soil moisture and temperature of your garden, and the humidity of your greenhouse. It comes in in two versions: single sensor input, and quad sensor input. This meant to be used outside in your garden, and is rugged, and fully waterproof. This versatile device can even be used in your mail box to tell you when your mail has arrived. 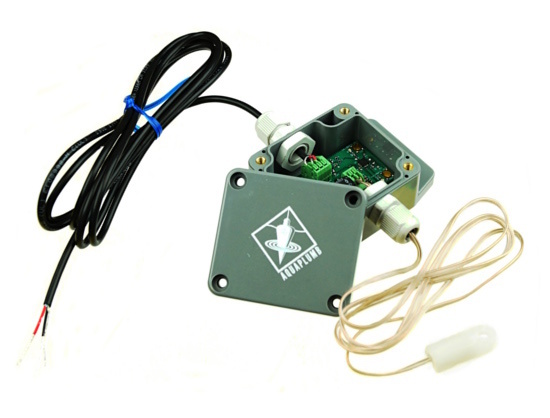 Monitor and control your water usage with our VH400 line of soil moisture sensors. Monitor water level of reservoirs with our totally unique AquaPlumb line of water level sensors, which have no moving parts. 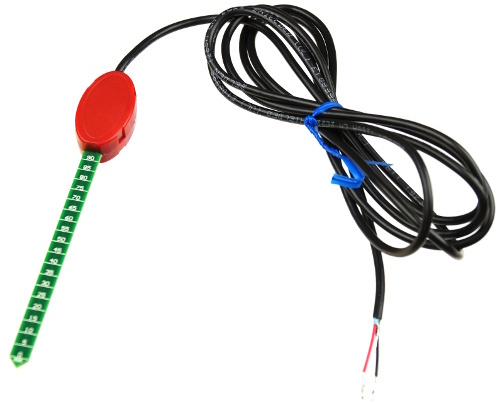 Collect data from our sensors with our low cost data loggers. Monitor soil moisture with our handheld soil moisture meter, which displays moisture, ambient temperature and light readings on a graphical display. 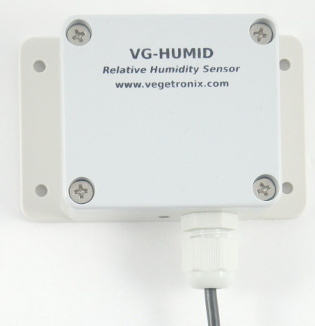 Monitor relative humidity of the air with our low-cost, easy to mount, RH Sensors. 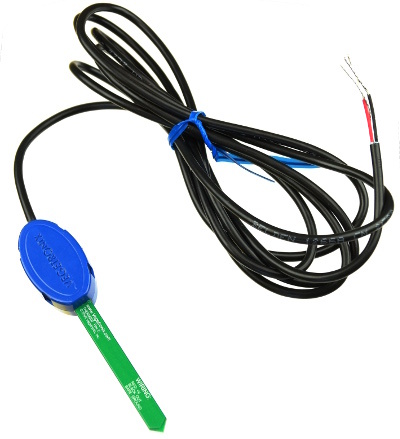 Monitor soil and environmental temperatures with our THERM200 line of temperature sensors. Display real time sensor data on our water proof Universal Sensor Display. 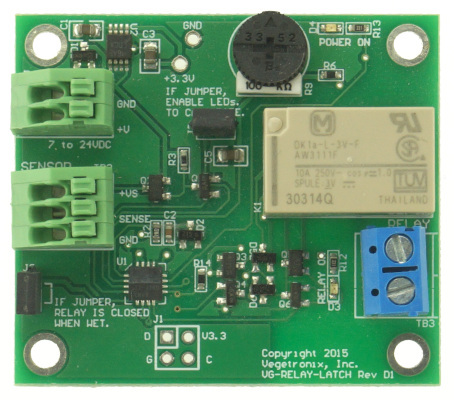 Control sprinklers, valves, and pumps with our line of relay control boards. Make interfacing to SDI-12 bus easy with our easy to use line of SDI-12 boards, which can turn any PC into an SDI-12 logger, and any analog sensor into a SDI-12 compatible sensor.